The Beatles 50 Years Ago Today: June 22, 1967. Beatles Radio: The Beatles, Solos, Covers, Birthdays, News The Fab 4 and More! Talk story about the Beatles' thirteenth and latest (June, 1967) record album, "Sgt. Pepper's Lonely Hearts Club Band," which has sold 1,200,000 copies to date, with 95,000 more in back orders. 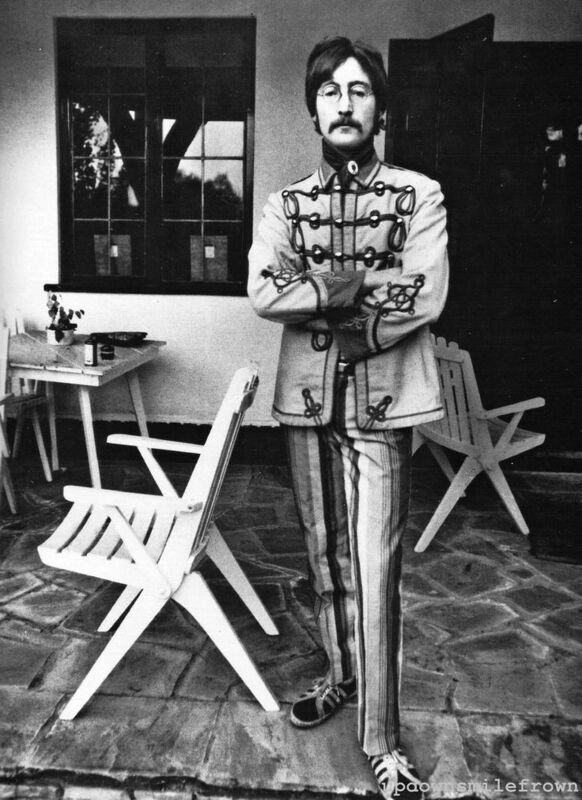 John, Paul, George, and Ringo appear in old-timey band costumes amongst the faces of many other artists on the cover. On this record, the Beatles (with Paul singing most of the solos) create the effect of a live show. Mentions songs on the new album and lists previous Beatles' albums. There was a slump in the Beatles' popularity about a year ago. Now "Sgt. Pepper" is out and it's a big success. WMCA disc jockey Joe O'Brien was the first to play it on the air. O'Brien said listeners are unprepared because this album is not a teen-age album, but a terribly intellectural one. The college students are now the hard-core Beatles fans. This album is really a cantata. Teen-agers don't want that. Murray-the-K said the album is positive proof of the Beatles' musical maturity. The reporter spoke to people buying the album at Sam Goody's and at the Colony Record Center. There Lawrence LeFevre lectured about the album: In musical substance, "Sgt. Pepper" is a bigger step forward, from a musical point of view, than "Revolver." New and interesting musical structures appear in combinations of rhythms, chord progressions, instrumentations, and maintaining the flow of melody. This album is a whole, little world created by the Beatles. The Beatles, like Duke Ellington, are unclassifiable musicians.